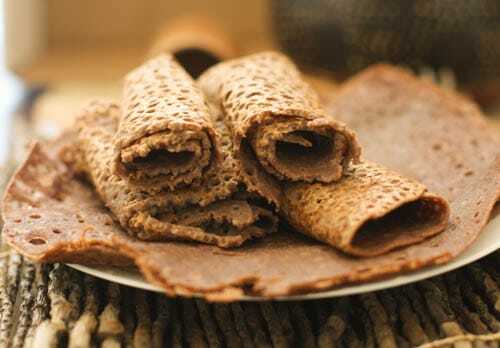 Pancake is possibly a very ancient form of food. There is really no evidence where they were made first, but it seems that every culture around the world has some form of pancake in their culinary arsenal. 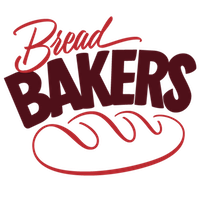 This month, the bread baking group that I am part of embarked on a mission to serve you pancakes, crepes, blinis, dosas and what not! 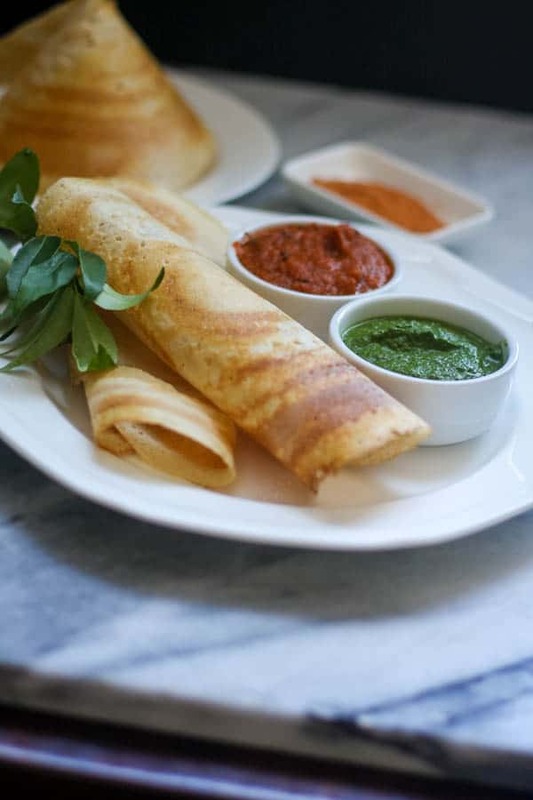 I chose to introduce our favorite breakfast menu – The brown rice dosa. It’s a breeze to make a week’s worth of batter in one go. Yes there is some waiting for the batter to ferment. But it’s not like you have sit and watch TV with the batter and chant “ferment”. It sorta does its own thing and leaves you alone if you leave it alone. So the deal is that you do have to soak some rice and lentils. And the deal is that you also must grind the said rice and lentils and then let the batter ferment. 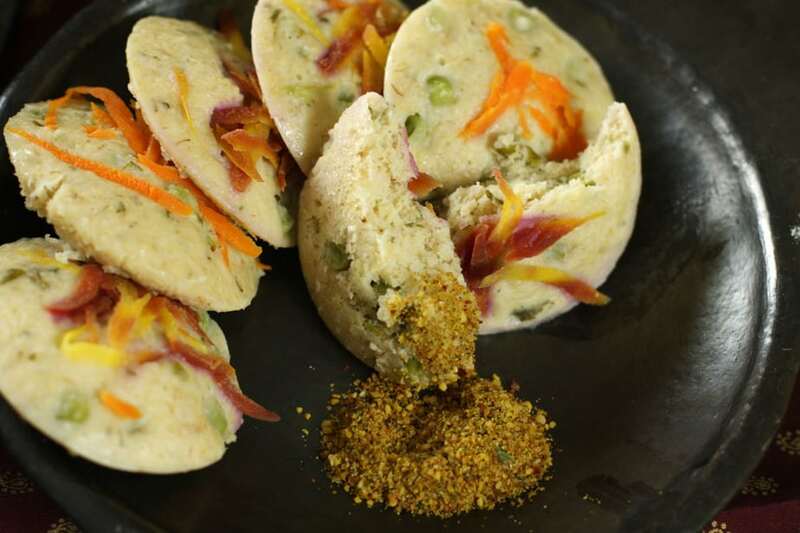 I have also heard from so many people who say that they love dosa but do not have time to make it. Oookay! Did I mention this is the my family’s favorite brekky ? Yes? Well I am repeating it. This is my families favorite breakfast! Which means, I make it more times than I count on my manual calculator. So here is how I go about it :- Day before I want to make dosa – just before leaving for work – soak rice and Dal ( ze lentils) and fenugreek seeds After I come back from work on the said day and before I doze off because I can’t feel my feet anymore , grind the said rice, fenugreek and dal. Leave it in a warm spot, covered and wake up to smell of fresh fermented batter ready to go. 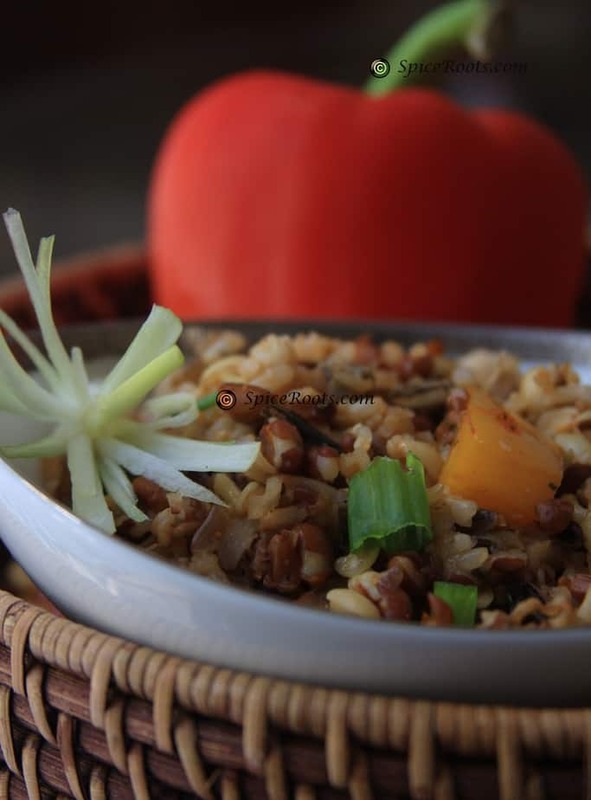 Wash and soak the brown rice and fenugreek seeds in water. The water should be at least an inch above the rice. Wash and soak the urad dal. The soaking time can be between 6 to 8 hours. Remove any extra water from the dal and reserve. Grind the soaked urad in a blender, until it gets a smooth and fluffy and velvety texture. Add in Ice chips a couple of times during grinding so that the blender heating up doesn't heat the dal. If you need to add some water to make a nice batter, add the reserved water. Take a large container or a big bowl ( at least 6 qt capacity), and place the urad dal batter in it. 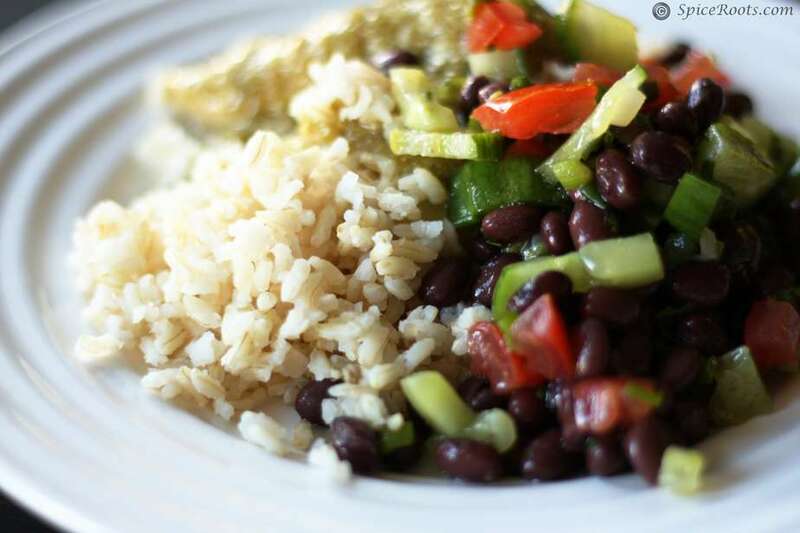 Remove any extra water from the rice and fenugreek mix. Reserve the water in case you need it during grinding. Grind the rice and fenugreek mix in two or three batches based on your blenders capabilities. This batter will not be as smooth as the urad one and will have a very fine grainy texture. At this stage you can keep it in the refrigerator to use later or go ahead and make some dosa. Heat a non stick round griddle on medium heat. The griddle is ready when you sprinkle a few drops of water on it and they sizzle and evaporate instantly. Thin out the batter with some water. Just like a crepe consistency. Pour a ladle full of batter in the center of the pan and making concentric circles spread the batter out to make one big circle. Add a few drops of ghee in the center and on the edges and cook until browned . If your dosa is spread thin enough, you don't need to cook it on the other side. Remove from the heat and roll up to serve with chutney. Traditionally a cast iron griddle is used to make dosa. But a non stick works really well if you are just starting. 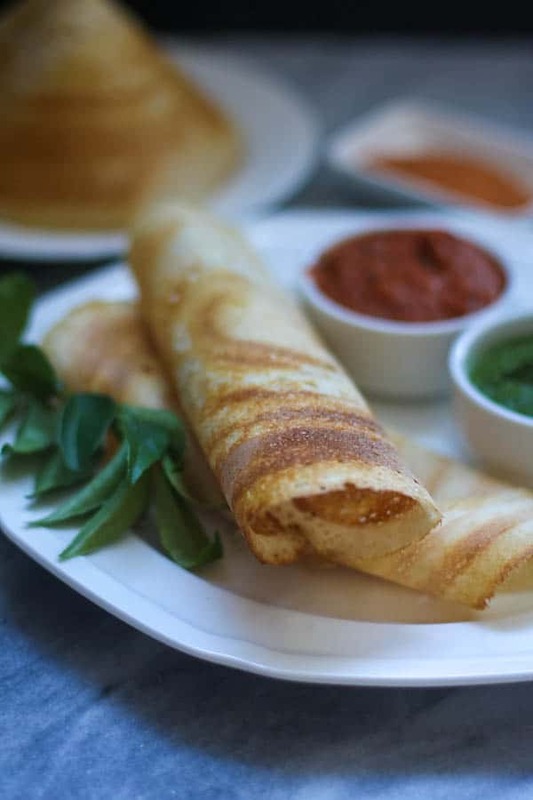 If you dosa is thicker, you may need to cook it on both the sides. ** Fermentation :- can take anywhere between 4 hours to 14 hours. If you live in a warm place where winter means 70*F weather, then your batter will not need much time to ferment. However in colder places like Colorado, in winters the batter takes about 12 hours to ferment. In such cases, either use your oven ( switched off with light on) or an instant pot with yogurt setting, a large warm blanket or the warmest place in your home to help with the fermentation. 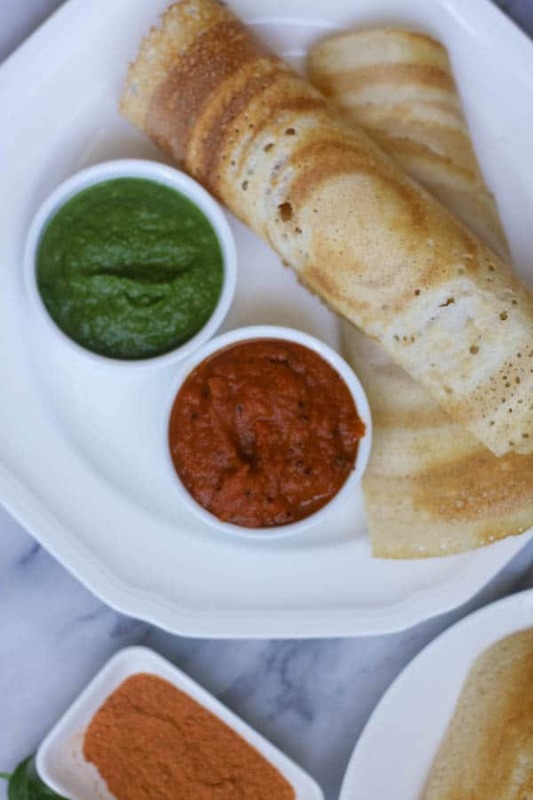 Your brown rice dosa looks amazing. I love the way it is so crisp and so brown. Looking forward to making this in my kitchen. I will share the feedback. Thank you for the recipe. Very cool recipe! I’ve never made anything like this, but I think I’ll give this shot. The only place I have ever eaten these is at RootDown. I need more! Wow, so crisp, thin and healthy. I too love eating Dosa’s at breakfast… Your pictures makes me hungry. Very different way to me to ferment a sponge batter. Thanks for sharing! 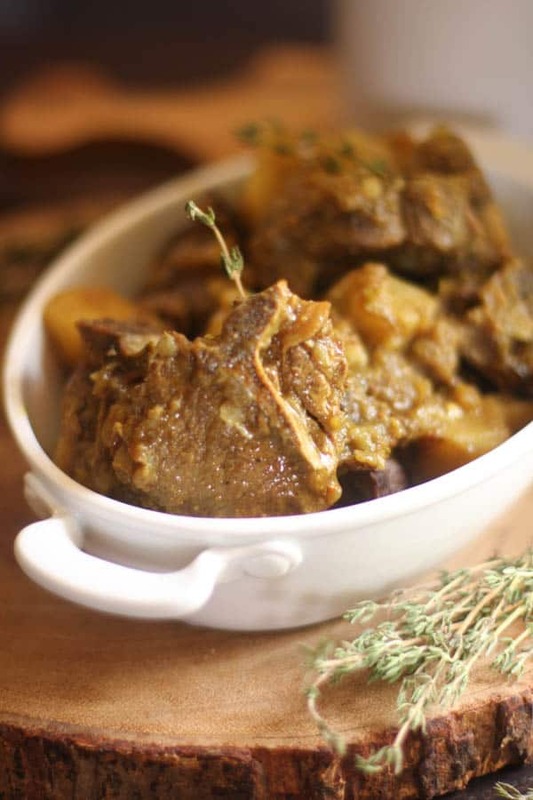 Your family is so lucky that you know how to make all of these beautiful dishes! The chutney is beautiful as is the dosa. Such a wonderful Dosa!! I LOVED each and every picture in the post. Tempted to make these right away. 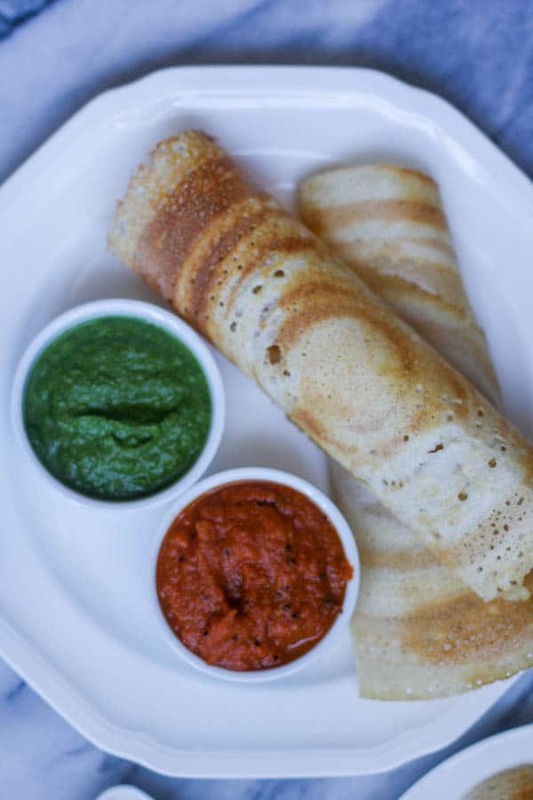 Anshie, brown rice dosas….absolutely a genius. Going to try them out soon and yes must say making the batter is not difficult at all. Love the photos. Never met a dosa I didn’t like! Also never made one — I’ve only ordered them in restaurants. I really should give this a go — it looks pretty easy. And so tasty! Thanks! I have no idea where to find urad dal but I’d love to try this! 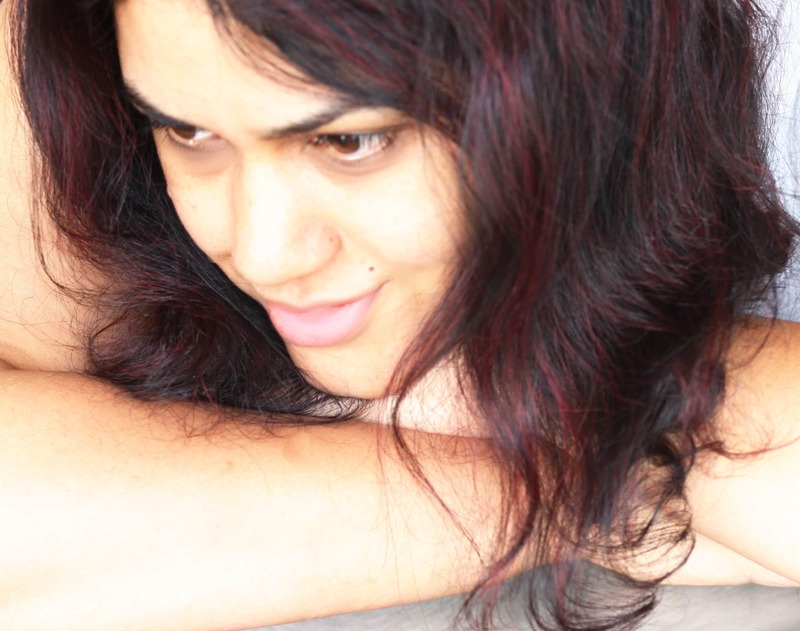 Absolutely stunning clicks Ansh. I’ve never tried brown rice to make dosas and you are tempting me to make these dosas right away now. I love dosa and this is the real deal! Have never attempted it but with your delicious recipe, there are no more excuses 🙂 Will get the ingredients and get going…Thanks for sharing! Yours are so thin and beautiful! I’ll definitely have to find black gram! Well you caught my attention. I think this is a recipe that I could use not only for breakfast but as a side to the Curry I made last night. I will come back when the recipe is up.